When you are suffering from a medical condition it is very important to get the right treatment. Varicose veins are a serious health problem which shouldn’t be left untreated because otherwise more serious issues may appear. If you are one of the people who are struggling with varicose and spider veins you are in the right place. We will give you all the information you need in order to purchase what suits your needs. 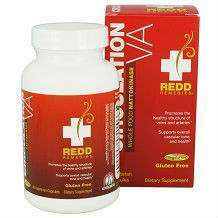 A good treatment would be Redd Remedies Circulation VA. Pay attention and find out everything about this product. If you want to enjoy the positive results brought by Redd Remedies Circulation VA you must respect the recommended dosage. You should take two capsules per day. It’s best to take the pills with food. We checked the manufacturer’s website but we couldn’t find any specific information about possible side effects of this product. On the other hand, our advice is to consult a physician before starting treatment with Redd Remedies Circulation VA. This product is sold in bottles with 60 capsules. This should be enough for about one month. The price is not too high and we think that you can afford to buy it. A bottle of Redd Remedies Circulation VA Guarantee costs $39.99. It seems that this product doesn’t come with a refund policy. The producer doesn’t offer a money back guarantee and some customers might find this a little bit disturbing. 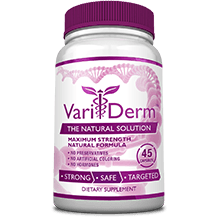 There are many people all over the world who decided to start treatment with Redd Remedies Circulation VA because they find this product to be very useful and reliable. Users were very satisfied with the results and they recommend it to all those who are dealing with varicose and spider veins and all the pain and the discomfort. Unfortunately, the product does not come with a well defined guarantee and there is no FDA inspection that has been done as well.